Aganga Clears-Air On New Nigeria Auto Policy, Did Not Ban Tokunbo Cars. He stated that all tokunbo vehicles that fall outside the list of those that government had approved for imports would attract 70 percent duty. 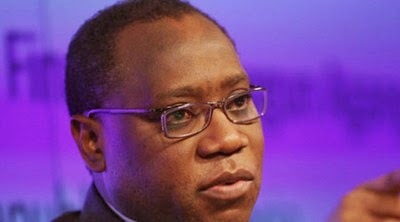 According to THISDAY, Agangu described as a successful Trade and Investment Framework Agreement (TIFA) meeting with US investors and State Department Trade Representative in Washington, said the recent auto policy of the federal government had been misrepresented with half truths necessitating the need for continued clarifications. The minister said: “there was no real controversy on the restriction of imports. What is happening in the country is that we want to develop without embracing change. There was a misunderstanding and misrepresentation of the policy and we needed to engage and explain the truth to the people. The minister said the idea is to encourage interested investors in the auto sector to go into local assembly. Aganga who was in Washington to discuss with US trade representatives on how to promote the non-oil sector through leveraging on the AGOA using best practices expressed worry on rising cost of imports but said with the new policy, Nigeria’s current balance of payments that gulps well over $3.4 billion on car imports would drastically come down. He said: “By the time the auto policy goes into action, the country would be in a position to produce affordable cars with more Nigerians placed in a position to buy such cars rather than tokunbos. “You have the likes of Hyundai coming into the country. Peugeot Automobile that was here before will start assembling in June. Peugeot’s assembly plant in Kaduna is still an impressive facility” he said.